How do You Replace a Burned-Out Light Bulb in a Harbor Breeze Ceiling Fan? Most Harbor Breeze ceiling fans with light kits come with a decorative glass globe that covers the light bulbs. Other models may have chandelier-like light kits where the light bulbs are visible. Once the light bulb burns out, you are stuck with the task of climbing up and changing it. After you get the decorative globe off, changing a burned-out bulb is the same as changing any other light bulb. Your ceiling fan may use standard light bulbs or specialty bulbs. 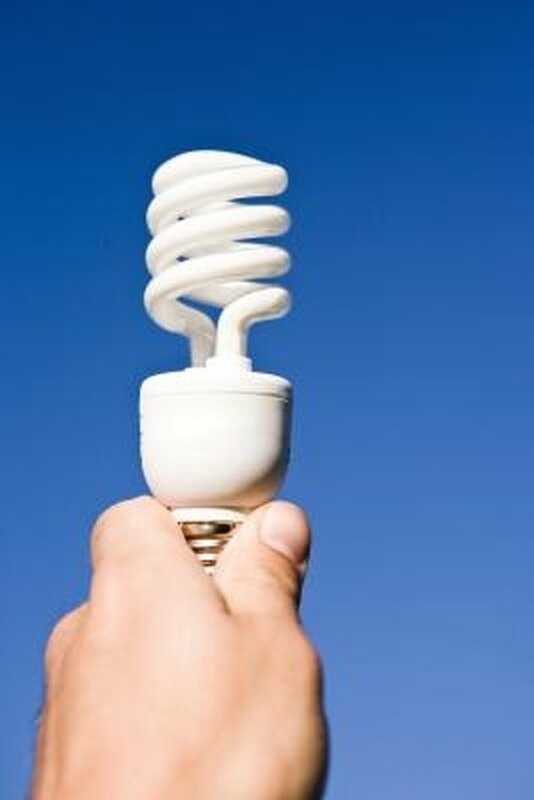 Your fan may or may not use standard-sized light bulbs. Turn off the fan and light. Place your stepladder under the ceiling fan. Set it a little to the side so you are not standing directly under the fan, but so you still will be in a comfortable reaching distance without leaning. Look at the decorative globe where it attaches to the fan. It may have two or more small screws that are holding the globe in place. Use your screwdriver or your fingers to unscrew these, keeping one hand on the base of the globe to keep it from falling. If it does not have small screws around the side, gently try unscrewing the globe itself from the base. Some Harbor Breeze fans use small node-like bumps to hold the globe in place instead of screws. Set the glass globe down carefully. Unscrew the light bulbs inside the fan. Set these down in a safe place. If you do not have matching new bulbs, take an old one with you to purchase the right replacement. Screw in your new light bulbs. Get off the ladder and turn on the light to make sure the new bulbs work. Reattach the glass globe the same way you took it off.